Creating a blog and writing a fabulous content in it is not the hardest part of all blogging. In fact, it is the best part of blogging that you can do to deliver the excellent content molded into some beautiful shape. The real hardness of blogging comes with the promotion of the content and building the subscribers to your site. Yes! If you cannot get enough traffic for your diamond-valued content, you are doing it for no reason. One of the best ways of getting traffic is gaining the same readers to your blog. Some reader would want to visit your blog very often. They want to be notified about your recent content and read them first before anyone else. How are you going to hold them tight and treat them special? Do you know the ways to increase the Email contacts and update them about the new posts? As you are thinking, social media promotion such as sharing posts on to your fan pages, groups, and micro-blogging profiles will be great, but how far they are going to get the updates displayed on their walls and news feed? Do you think they will enter the group every day for an update and get upset if you don’t? That is not the right strategy I would say. Can’t I auto share the blog updates onto social media? Of course, you can share your blog updates automatically, but how better they are displayed on the newsfeed of your subscribers? I hope you are aware of the social media auto-manual updates filtering algorithms that were announced in the times. What am I saying is that you would need a complete marketing tool that encourages your followers/visitors to subscribe to your email updates is the best and most used method of blog post promotion of even today. It is used by many successful bloggers in the current blogging world. Email marketing, which is what we call it with a name, is not all about shooting emails with the new content updates; it is about the connection that you have with your readers. A series of the same kind of updates from you would let the subscribers lose the interest anymore that is fatal for your blog marketing. That is why you need a tool that does its best job in maintaining the relationship with your subscribers. I’d recommend GetResponse, the best one-stop tool for the digital marketers and bloggers for effective list building and communicate with their contacts. If you’re a brand marketer like me, you can get benefited from GetResponse in the following ways. You can improve the traffic from your consistent readers by turning them into subscribers. You can build a loyal readers list that brings you confirming sales from your links inside the articles. You can even create attractive, informative landing pages, webinars, and opt-in forms for your blog and promotional pages to grab your visitors’ attention and get more subscribers to the list. GetResponse is not just an Email marketing tool that helps you send beautiful newsletters to your subscribers. Yes, it is more than that since it offers landing page, Autoresponder, and Webinar along with the email marketing features and thus, it is the best email marketing software in the world serving of about 350,000 customers from 182 countries with the engagement of 1 billion subscribers every month. 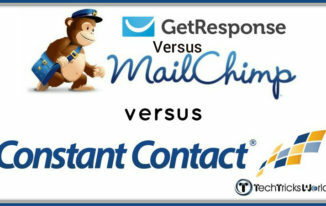 I have already made a comprehensive comparison of three leading Email marketing service providers, GetResponse Vs MailChimp Vs ConstantContact where I have evaluated their remarkable features. And, finally, I have concluded that the GetResponse is the best tool for creating the customized email marketing campaigns as it is more likely to build the newsletters with professional look, good deliverability rate, and auto responding feature. You can try GetResponse free with no credit card details required during the registration. Go to http://www.getresponse.com/ and create an account and then get your hands on it. Now, in this post, let me consolidate the key features of GetResponse so that you will be able to recognize its competence in building and running the efficient email marketing campaigns. 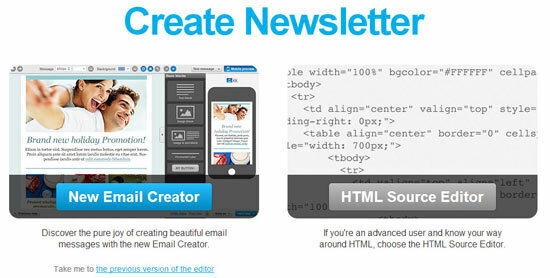 Email Creator helps you create attractive emails from the pre-designed templates and lets you customize them as you wanted for the specificity of the campaign. The ‘Email Creator’ tool allows to you resize, crop and scale images and gives you the list of buttons and text blocks to be added into the template. You can archive and save the snippets and use them in future email designs. One of the most needed tools for email marketing is the auto response tool. An average user who tries to contact the site authorities should know that they care for his time and efforts in doing so. The auto responder by GetResponse will allow you respond to the subscribers’ emails accordingly. To promote or to increase your sales, you need to put all the information about the product or service summarized in one single page that we name it as a ‘Landing Page.’ A landing page should not only give the information of the product or service but also allow the visitor buy or subscribe to it. 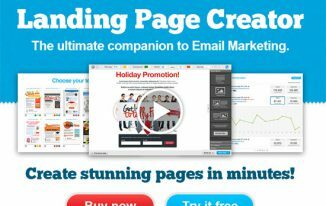 GetResponse features more than 100 highly converting landing page templates with matching thank you pages that will help you meet the marketing goals much easier and quicker than expected. 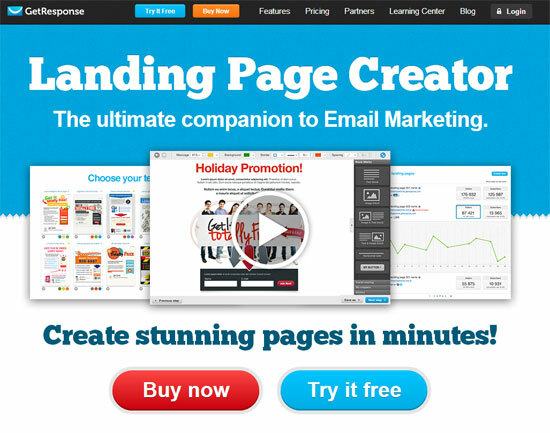 It has that WYSIWYG interface which helps you design the landing page as you wanted on the go. After designing, you can choose to publish the page on GetResponse’s free subdomain or your custom domain or your Facebook fan page. Few days back, I have compared the landing page creator of GetResponse with LeadPages and Unbounce and recommended this tool for the one who need good design control and third party integration features at affordable price. GetResponse, probably, is the first email marketing tool to provide the webinar marketing solution to increase the conversion and engagement rates. Use pre-designed webinar invitation templates for reminding your subscribers about the scheduled webinar(s). 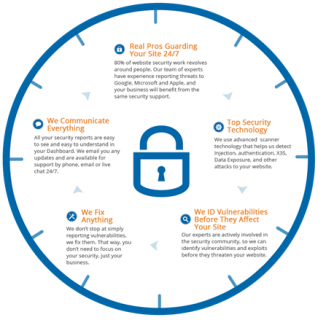 GetResponse provides 24/7 live chat support for their customers all over the world. They also provide email support in 7 world languages and also help with the phone. You never need to bother about any contract or cancelation penalty in GetResponse. 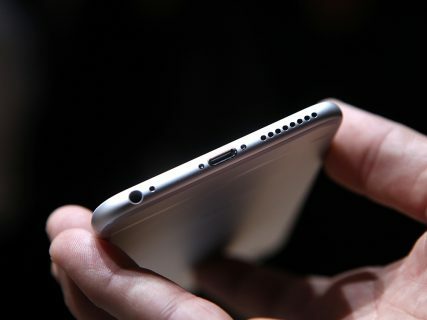 It is well suitable for medium to high volume senders. At an additional cost, it offers GetResponse 360 Premium service as well. Besides, you may start your free 30 days trial at no risk. You don’t need to give your credit card details to try GetResponse free. Have a look at the pricing models of GetResponse and pick the ideal one according to your requirements. Email marketing is never dead. In fact, it is evolving into a better marketing-networking concept. 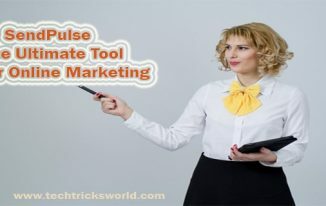 The complete marketing tool like GetResponse makes it happen smoothly with fewer efforts for the marketers to promote, connect and communicate with the customers, readers of the site or blog. 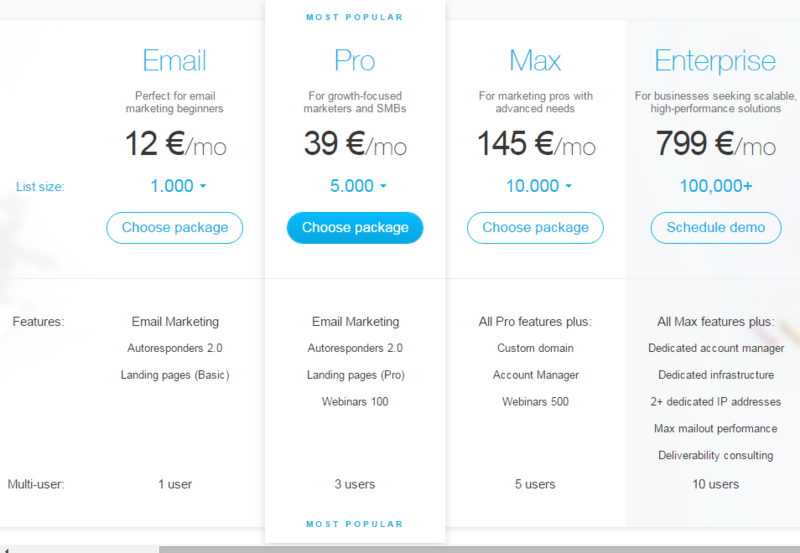 The flexible pricing plans that this email marketing tool is offering is quite lucrative for the features it is providing. If you are expecting a better tomorrow of your blog/ business website, consider getting the full email marketing solution, GetResponse to build and run the successful email marketing campaigns for your blog/business website. What is your opinion about the well-known email service provider, GetResponse? Which Email Marketing tool are you using? Does it have any distinctive feature? Share your viewpoints in the comment section. Email marketing is an important part of blogging. We need to use hassle free email marketing services to get better ROI. Getresponse is very good service. I am using this service but I know some bloggers who use and they share their good experience about it. From your article we can get idea why we use Ggetresponse. Thanks for sharing this article. Getresponse is indeed a great tool for all marketing thing. Though I am using Mailchimp since the begininning, I am finding GR a good alternative of it too. Thanks for sharing this very informative post, and yes, writing the best content only not suffice in this tough competition, you require the skills to promote it to social media and other communities. Email marketing is another fabulous and effective way of marketing/promoting your site/blog post. I have heard of Mailchimp and Aweber and now I have to try Get response as it looks great from reading the article above. Writing the content is the base, and marketing is the main thing to promote it. Email Marketing is one of the best ways to promote your content to the relevant audience, and GetResponse seems to be the best tool help in it. Mailchimp, Aweber, and GR all are good. Well, today I went Google+ and I found 2 of your tips. 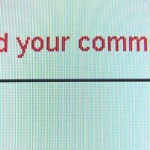 I think that you may found my comment on the other blog of yours. Would you agree with me, over %80 of buyers are return visitors…? I have been busy this week. Thus, haven’t checked my other blogs. I will surely do check out and approve your comment if there are any. Thanks for sharing your views on this article. It’s always a good idea to go beyond your imagination. We can build a whole new world of business within a particular blog. Initially, we think about to what to write on a blog and then a very long journey will take place. Marketing comes at the end when you are settled down well with your blog. It was an interesting read and we all should implement them all in our professional life! Thanks for the share! Glad to read your ideas on marketing. Thanks for sharing. It seems to be better than other email marketing tools. Since it is free for s month I think I will give it a try. Yes, the best thing is you can try free for 1 month, and if you like it you can get its paid subscription otherwise you can stop using it. I’m using GetResponse for over 1 year and yes I can say it’s best of the best autoresponders. Hi, thanks for such a great information. I have real estate site. Any specific idea to get more visitors and leads ? Thanks for sharing such a great information. I have money related blog. And I am using GetResponse Email Marketing tool. It’s really amazing tool which help me a lot to build my email subscriber as well as increase my blog traffic. Good to know that Pritam. Thanks for sharing your views. Thanks for the great information about the real work involved in online marketing. It doesn’t end with blogging…. there is much more to do with promotion and making real connections with people. Email marketing is a powerful way to go beyond just blogging. I’ve been using another email marketing tool but you made some great points about Get Response. I may look into that in the future. Thanks for coming by. Email marketing is indeed an important strategy to opt for, and a good tool like GetResponse is much needed.